When Speedway Motorsports, Inc. (SMI)—the leading promoter of motorsports in the United States—wanted an easier way to consolidate the massive scale of fan data available from operating eight venues that stage some of the world’s largest sporting events including NASCAR and IndyCar, the obvious answer was to seek the services of FanThreeSixty. SMI sought a technology platform that could perform two critical functions: aggregate fan data into enriched fan profiles that could be accessed by everyone within their organization, and provide necessary tools to effectively track SMI’s sales efforts, to gain insights into best practices across all of its eight venues. 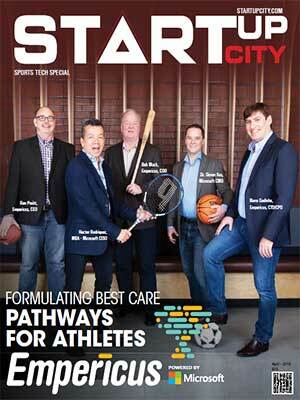 FanThreeSixty, a sports tech startup founded in 2011 by owners and executives of Sporting Club and MLS team Sporting Kansas City, exceeded SMI’s expectations. For starters, FanThreeSixty consolidated SMI’s fan data into Dimension—a cloud-based tool for sales management and fan engagement. After customizing Dimension to fit SMI’s data needs by importing millions of ticketing profiles into the platform, FanThreeSixty’s engineers launched new mobile apps for each of SMI’s eight tracks, all customized around Uphoria—FanThreeSixty’s fully-configurable mobile app solution. The result? SMI is now able to identify and group fans by custom, color-coded tags, renew season tickets and organize follow-up programs, see what fans have purchased, customize their profiles accordingly, and record interactions between the team and the fans, among a host of other benefits. In the three years since partnering with FanThreeSixty, SMI’s number of unique fan profiles has increased by 35 percent. Just like SMI, scores of sports organizations are realizing the value of FanThreeSixty’s data-driven solutions that positively influence every touchpoint of the fan journey. FanThreeSixty’s fan engagement platform creates a 360-degree view of the fan, giving organizations unprecedented access to actionable insights that maximize the value of every fan while creating remarkable experiences. A technology-centric organization, FanThreeSixty leverages machine learning, predictive analytics, and other cognitive technologies, to automatically identify and link fans based on their stage in the fan life cycle. Last December, FanThreeSixty extended the capabilities of its fan engagement platform by including automated audience segmentations and fan activations. In other words, FanThreeSixty’s clients can now seamlessly interact with their fans through a personalized chat experience. “The future of sports marketing is all about intelligent fan journeys. By transforming our software into a broader fan engagement platform, we’re giving marketers a sophisticated tool that leverages machine learning and predictive analytics to capture and engage fans in ways that reflect their individual behaviors and interests,” says Jason Houseworth, president and CEO, FanThreeSixty. To FanThreeSixty, the security and privacy of fan data are of utmost priority. Therefore, data is stored on its GDPR-compliant fan engagement platform only after receiving due permissions from fans. “We are committed to customer privacy, so we are transparent with our clients and their fans about how their data is used. This gives fans a choice to opt-in or opt-out. By putting them in control of their data, we’re serving the fans’ best interests while putting them in control of their experience,” adds Houseworth. In the coming years, FanThreeSixty plans to leverage the new capabilities of its platform to transform the way organizations act on their fan data. FanThreeSixty has helped sports and entertainment brands create remarkable fan experiences while streamlining marketing campaigns and sales programs. The company intends to continue refining its platform by expanding automated features, giving brands a world-class solution for seamless fan engagement. KANSAS CITY: FanThreeSixty, an industry-leading fan engagement software and analytics company, extended the capabilities of its Fan Engagement Platform, giving sports teams and entertainment venues a single source of truth for fan insights. As part of the platform upgrade, FanThreeSixty included automated audience segmentations and fan activations. This lets marketers trigger seamless, personalized interactions with their fans which optimizes audience targeting and improves campaign performance. The security and privacy of fan data is built into the GDPR-compliant Fan Engagement Platform, only storing the data that fans give permission to collect. “We are committed to customer privacy, so we are transparent with our clients and their fans about how their data is used. This gives fans the choice to opt-in or opt-out,” said Houseworth. “By putting them in control of their data, we’re serving the fans’ best interests while putting them in control of their experience.” said Houseworth. GDPR will impact all companies across industries in the U.S.; so, FanThreeSixty is giving sports and entertainment brands both the technology platform and the strategy to shift from legacy systems to a GDPR-compliant fan engagement platform-as-a-service, adds Houseworth. Other features on the enhanced platform include Fan Insights, a reporting tool that gives a more granular-level view into a fan’s behavior derived from his or her engagement on marketing campaigns. This lets marketers better understand which sponsors drive the most value from their fan base, as well as which messages resonate with with each distinct fan. With an amplified reports view, users can track conversions tied to sales programs and marketing campaigns, as well as fan purchases, including data from both ticketing and online merchandise sales from its integration with Fanatics, one of the world’s largest eCommerce sites for sportswear. Marketers can then use this information to target fans based on their purchasing behavior or to derive insights about a fan’s favorite player. Together, these new capabilities transform the way sports and entertainment brands act on their fan data to create remarkable fan experiences while streamlining marketing campaigns and sales programs. FanThreeSixty will continue to refine its platform in 2019 and beyond to expand automated features, giving marketers a comprehensive solution for seamless fan engagement.